Intagme is an Instagram widget that allows users to integrate their Instagram photos onto their blog or website. Instagram photos no longer have to remain on social networks, now they can be shared on blogs and websites everywhere. Followgram is an advanced web interface for Instagram users. Followgram offers free stats, extended navigation, albums, brand-growing, dedicated URL and much more. It’s almost like a completely separate social network integrated with Instagram to bring users the information they desire. Ink 361 is a web interface for Instagram that offers simple photo sharing and an easy-to-use dashboard design. Hovering over photos will provide details about that user, along with the ability to share them on Twitter, Facebook, Google+ and Pinterest. If you go to your profile and click on followers, you will see details about users including their profile description, their followers, the last 5 photos that they have shared and more. 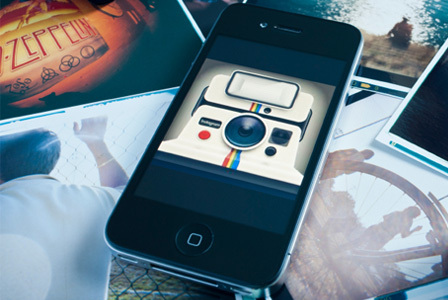 Statigram is the most popular web interface for Instagram, offering many advanced features. At sign-in, users will see the latest photos from their followers. Users are provided with an individual photo viewer which allows users to interact by commenting and liking photos, as well as sharing the photo on several different social media sites. The stats of Statigram are phenomenal, with charts and optimization features to give users information about followers, likes, shares, adds, activity over specified amounts of time, and much more. 4K Slideshow Maker allows users to easily create slideshows from Instagram, add audio and apply special high-quality effects from the powerful interface. 4K Slideshow Maker even utilizes advanced face-recognition technology to make adding your Instagram friends and followers to slideshows a simple task. Slideshows can be created directly from your PC and laptop, or from your smartphone or tablet using the 4K Slideshow Maker mobile app. Diptic allows users to paste 5 photos into a single layout, where they can then choose from 52 designs. Advanced photo editing features such as contrast and brightness adjustment, frames and borders, and more are provided. Pic Stitch is a complete photo management suite. Pic Stitch currently offers users 32 different layouts, 9 different photo aspect ratios, and integration with Instagram. This allows users to create and edit photos, then upload them instantly to Instagram. Snapseed allows users to take any ordinary photo and enhance the photo with one-tap correction, perfect fine tuning and simple addition of amazing special effects such as Grunge, Drama and Vintage. Photos can be instantly shared to Instagram. Frame Magic allows users to create collages of photos by using their large selection of frame layouts, special effects and decorations features. Picsart is a complete photo editing and managing toolkit. The powerful photo editor allows users to edit and enhance photos with stickers, text, collages and borders. Magical special effects include Watercolor, Fattal, Contours, HDR, Comic and Pencil. Read next: New versions of 4K Video Downloader and 4K YouTube to MP3 released.